The update was announced during the weekly State of the Game livestream. The new stronghold extends the endgame story and will help players learn more about what’s going on with the invading Black Tusk forces. WT5 expands the endgame concept of invaded missions by allowing more to be invaded by special enemy forces, tied to a weekly reset. 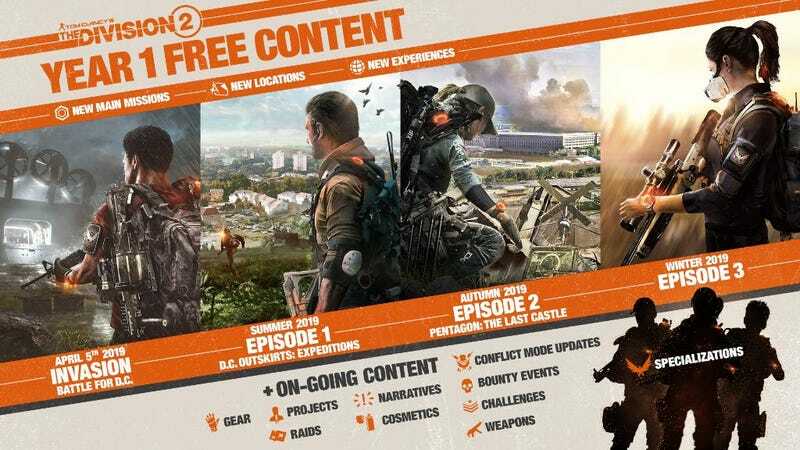 The game’s developers say the update will also add three gear sets to the game, the first offering of the kind of specialized collectible gear that adds special perks and that dominated discussions of the first Division’s metagame. The update will also fix the game’s busted staircase.